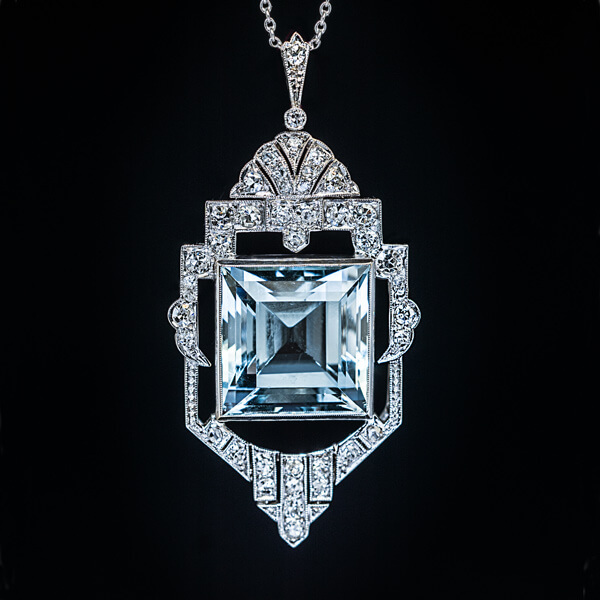 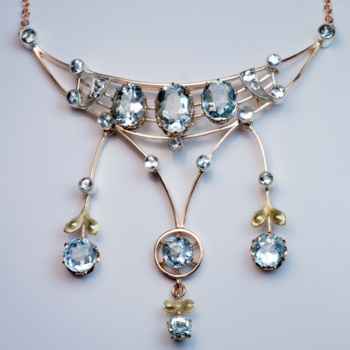 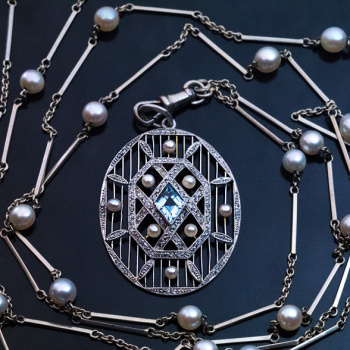 This stylish vintage white 14K gold necklace features an excellent square step cut aquamarine surrounded by an ornate Art Deco geometric frame embellished with diamonds. 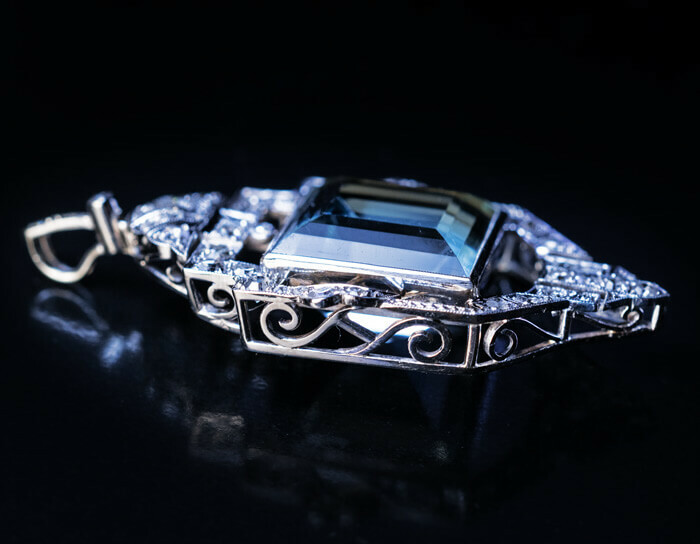 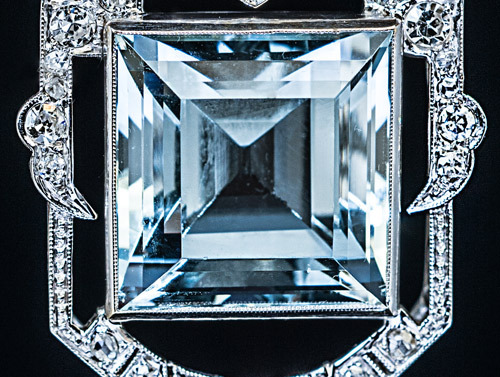 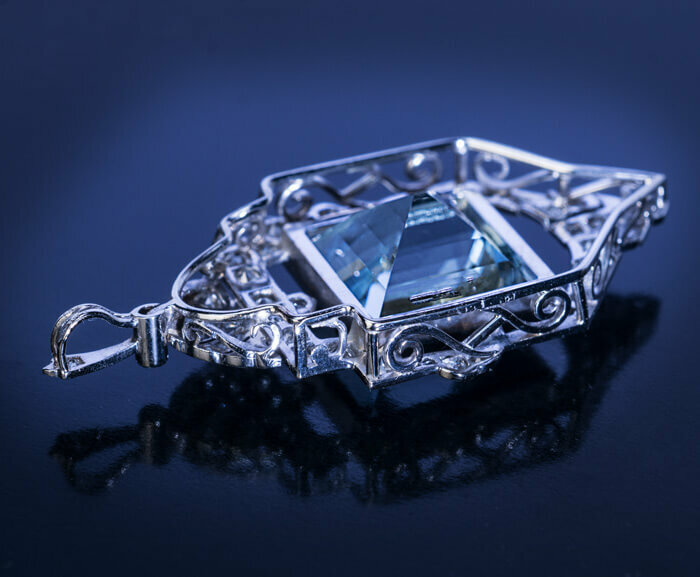 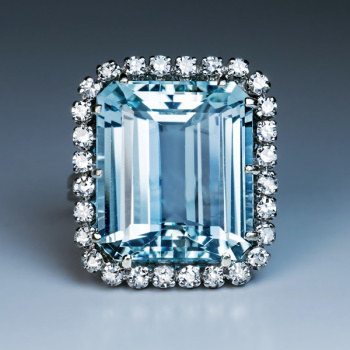 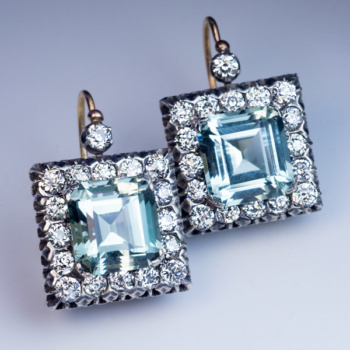 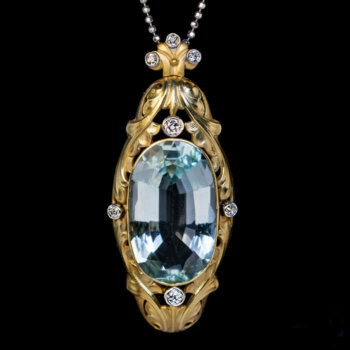 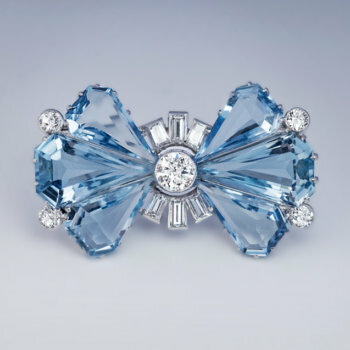 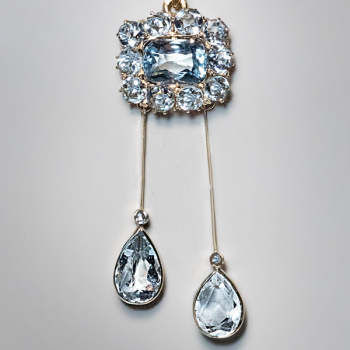 The aquamarine measures 14.18 x 14.17 x 10.87 mm and is approximately 13.76 ct. 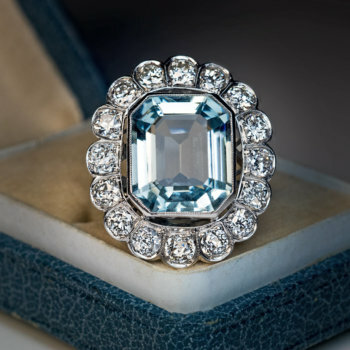 Estimated total diamond weight is 1.22 ct. 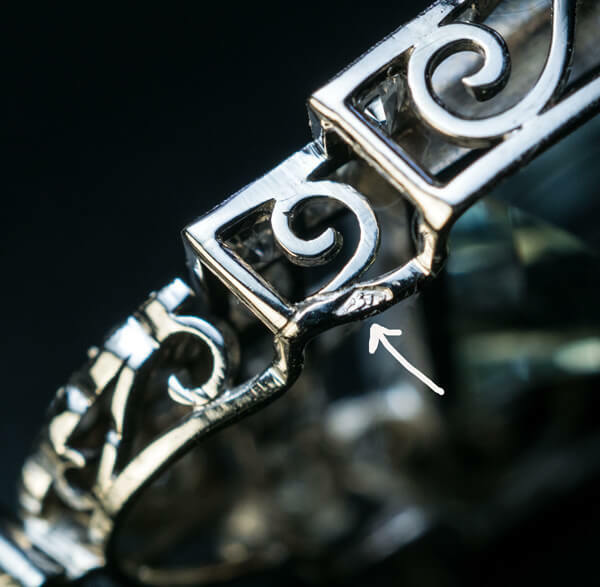 Marked on frame and chain clasp with Austrian horse head shaped mark and maker’s mark.